Další z kategorie “dream jobs” nabízí tentokrát technická univerzita v Trondheimu, a to na pozici PhD studenta v oblasti Geografie/GIS – plat: přes 100tis Kč hrubého měsíčně. We seek a PhD candidate in GIS sciences who will develop machine learning strategies and/or object-oriented image analysis for automated segmentation of landscape elements, landforms and deposits in Norway. Society’s need for rapid, cost effective and accurate mapping of landscapes is increasing. Many landforms and deposits, for example in formerly glaciated Scandinavia, is unstable in a warmer and wetter changing climate. Traditionally these landforms and deposits have been mapped largely manually through expert’s use of remote sensing data and fieldwork. However, large areas remain unmapped, and the landscape is changing rapidly. Recent development in machine learning, image recognition and object-oriented segmentation makes automation of these mapping tasks feasible. The candidate for the advertised position will develop tools and protocols for automatic mapping of deposits and landforms relevant for societal safety in Norway and Scandinavia. Much of this work will be performed using high resolution remote sensing data and through software development (desktop or cloud computing), but also some fieldwork in Norway is necessary to validate segmentation practices. The PhD-position’s main objective is to qualify for work in research positions. 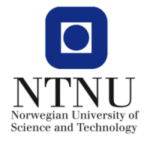 The qualification requirement is completion of a master’s degree or second degree (equivalent to 120 credits) with a strong academic background in Geographical Information Sciences or Physical Geography or equivalent education with a grade of B or better in terms of NTNU’s grading scale. Applicants with no letter grades from previous studies must have an equally good academic foundation. Applicants who are unable to meet these criteria may be considered only if they can document that they are particularly suitable candidates for education leading to a PhD degree.